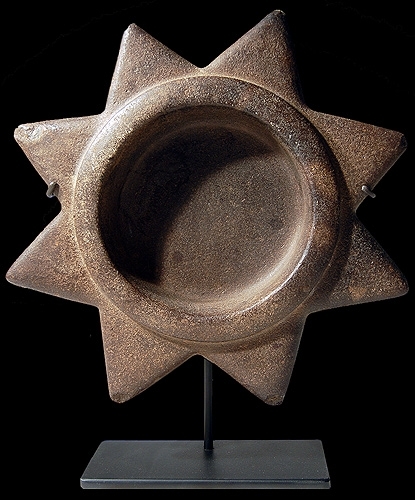 WILLIAM SIEGAL GALLERY -Star Mortar, stone, Inca Culture, Highlandst of Peru'; 1400-1532 A.D. 3 3/4 x 15 3/4 x 15 3/8 inches. 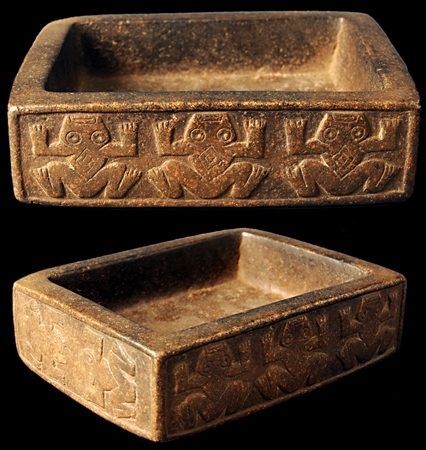 WILLIAM SIEGAL GALLERY - Frog Tray, stone Inca Culture, Highlandst of Peru'; 1400-1532 A.D. 2 1/8 x 8 7/8 x 6 7/8 inches. 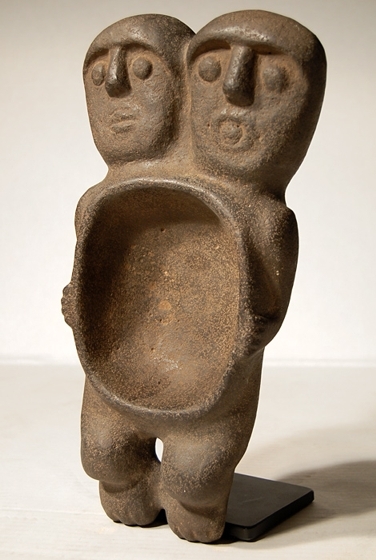 WILLIAM SIEGAL GALLERY - Twins Mortar, stone Inca Culture, Highlandst of Peru'; 1400-1532 A.D. 2 3/4 x 7 1/8 x 14 1/4 inches. 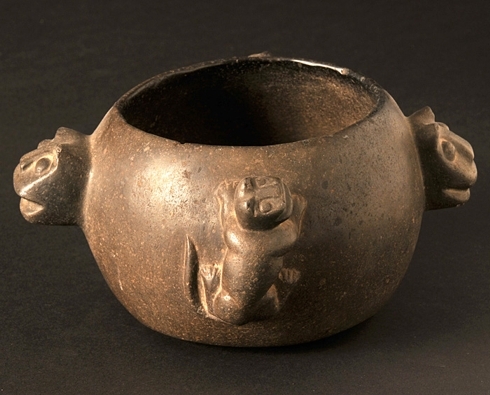 WILLIAM SIEGAL GALLERY - Jaguar Bowl, stone Inca Culture, Highlandst of Peru'; 1400-1532 A.D. 4 1/2 x 8 1/2 x 1 1/4 inches.